Over the last decade, I had talked about not even knowing whether I would find out if he ever passed away, I was never sure if anyone would get in touch with me to let me know. I had never expected that the black dog would get him like that, but I guess the nature of mental health troubles is that they often manifest in unexpected ways. Honestly, I had said that I wouldn’t be fussed when he passed away, but then, having received the call, maybe I am fussed. I certainly never expected the call to go the way that it did. Maybe I care that my father got a to a place where he believed this to be his best option. I feel deeply for anyone that feels so alone that they can walk through a door and never return. I have been open in discussing some of the trials and tribulations of my life to date. I don’t have any answers now, and I am at the beginning of a process of dealing with what has happened. I know that ultimately, I will be ok. If I do hit a roadblock, I think that it is worth speaking about it on behalf of those who maybe don’t have the words to express their feelings themselves. 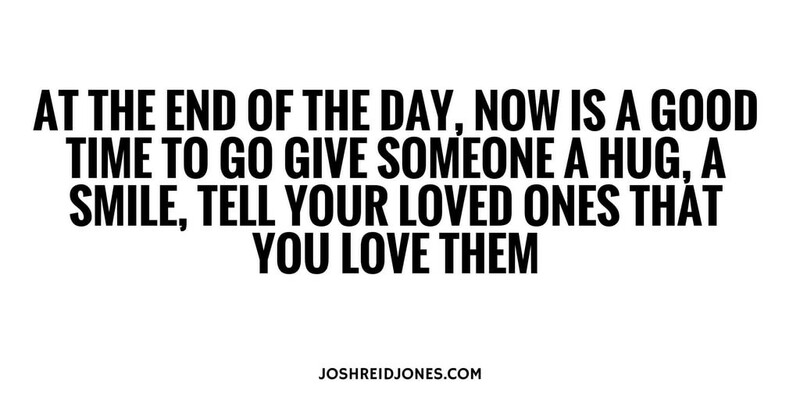 Lots of love — Josh Reid Jones.